Matt was born and raised in Cincinnati, Ohio. He found Wings Model Management in the winter of 2003. 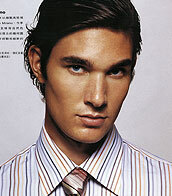 After signing with Wings, Matt went to Hong Kong, Singapore, Thailand and Malaysia to model. You can find Matt in the pages of Maxim, FHM (For Him Magazine), B International, and on the cover of Esquire with a 10-page spread. Matt also modeled the cover of Destinasia with actress Michelle Yeoh. The magazine was sold in seven countries across Asia. After returning from Asia, Matt spent the winter modeling in Miami. 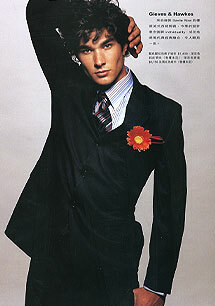 The following fall he modeled in New York. Now Matt is heading back to Asia to model and then to Europe. He hopes to end up in Los Angeles working on his acting career.